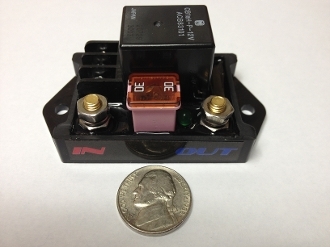 Single 70 amp relay module. Has heavy duty 70 amp industrial relay. Uses heavy duty J-case/FMX fuses (NOT INCLUDED). #10 battery input and relay output studs. Led indictor on output.